What you’re looking at here is an actual walnut (not a CGI model) that was photographed, close-up, with a macro digital camera from many angles covering a complete 360° aspect. 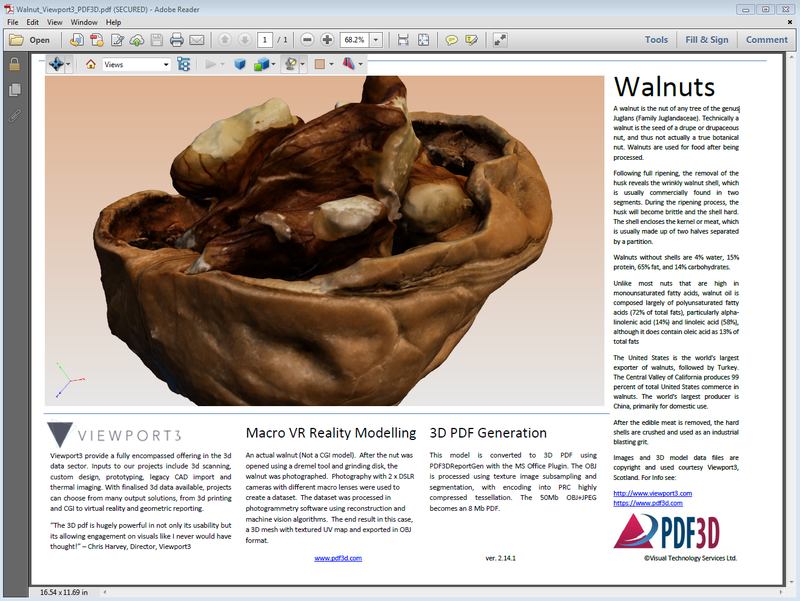 This shows a 360 close-up macro photo of a reality-modelled walnut using 3D surface reconstruction software, all inside a PDF file. 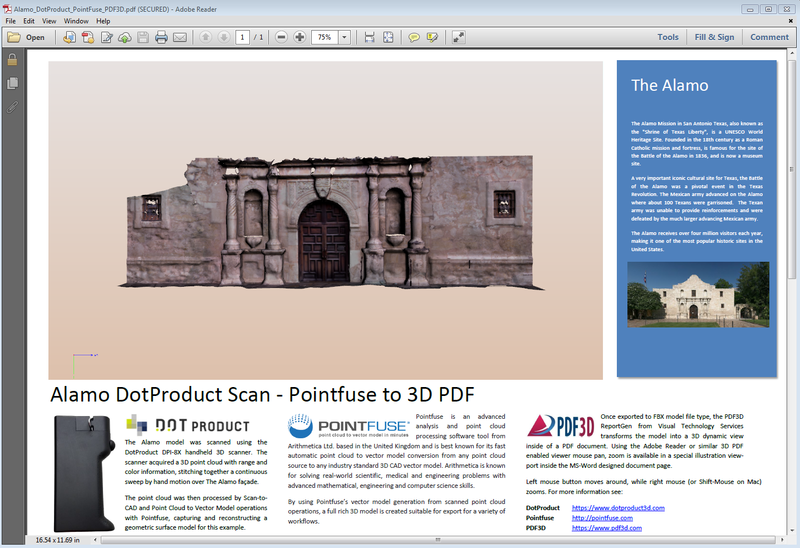 The image shows the The Alamo, which has been initially created using a DotProduct hand-held scanner and enhanced using Pointfuse advanced point-cloud meshing. 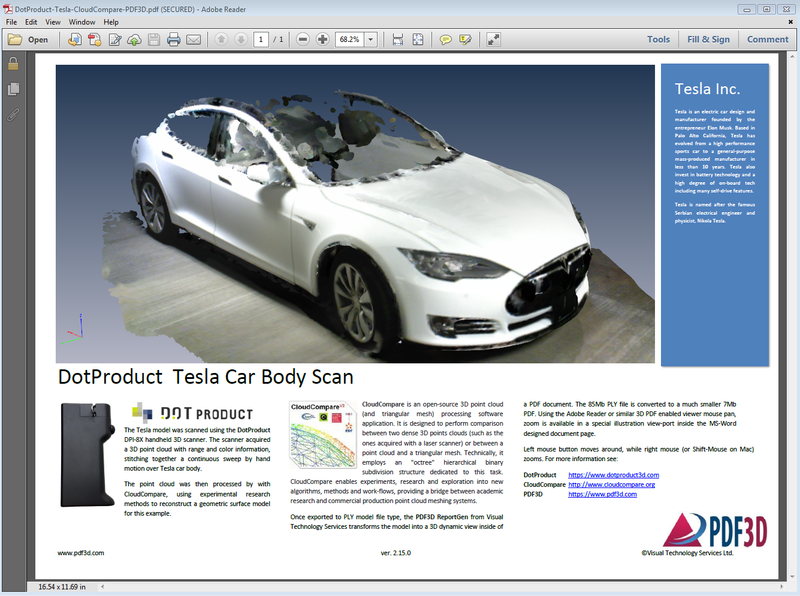 PDF3D ReportGen has been used to capture an interactive 3D experience inside a PDF document. 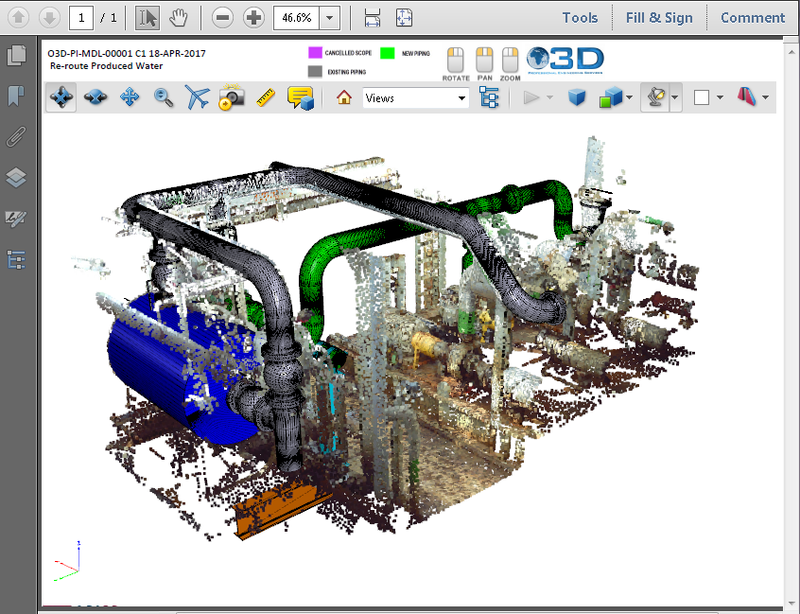 Image shows laser-scan point cloud integrated with CAD and converted to 3D PDF for clash detection and pipe routing. 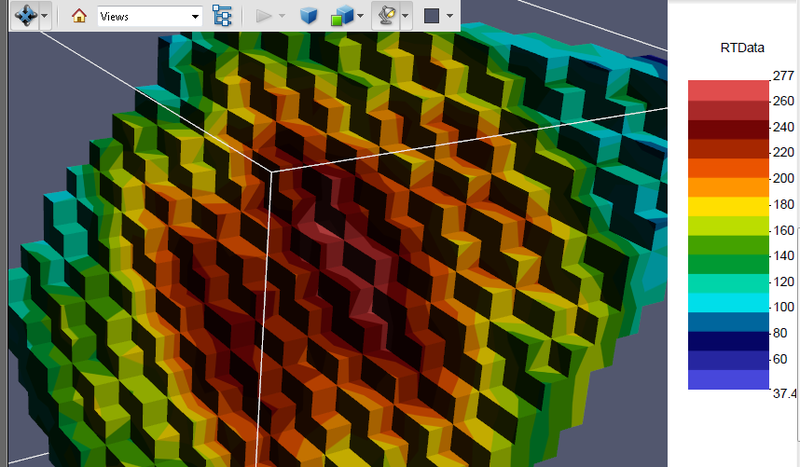 An increasing number of professionals now routinely work with scanned 3D data (drones, laser, etc.) in the manufacturing, geospatial and mining industries, and consequently need efficient ways to process, share and invite reviews on that data. 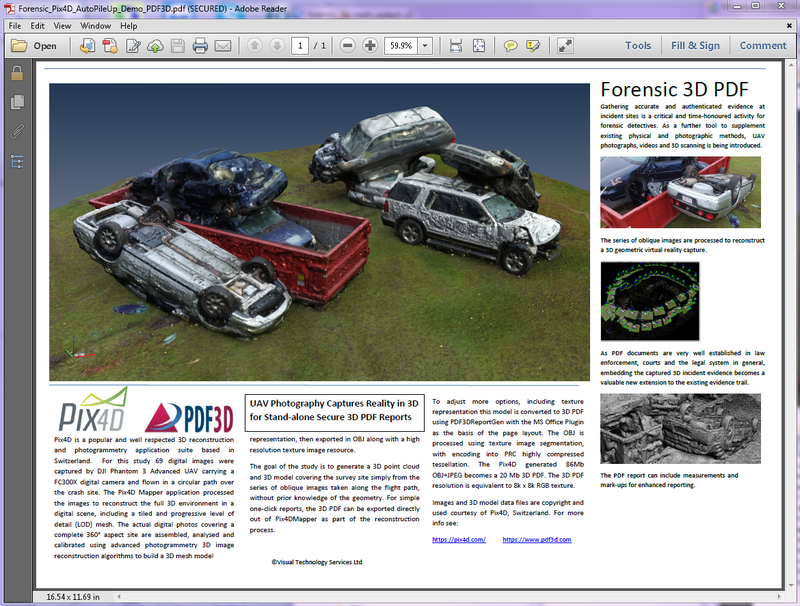 Pix4D is a popular and well-respected 3D reconstruction and photogrammetry application suite based in Switzerland, increasingly used in the area of digital forensics. London, August 2nd, 2017 – PDF3D, leaders in 3D PDF conversion technology, have today announced the latest release of their popular PV+, extending the award-winning ParaView application to convert the 3D visualizations generated by ParaView into 3D PDFs.